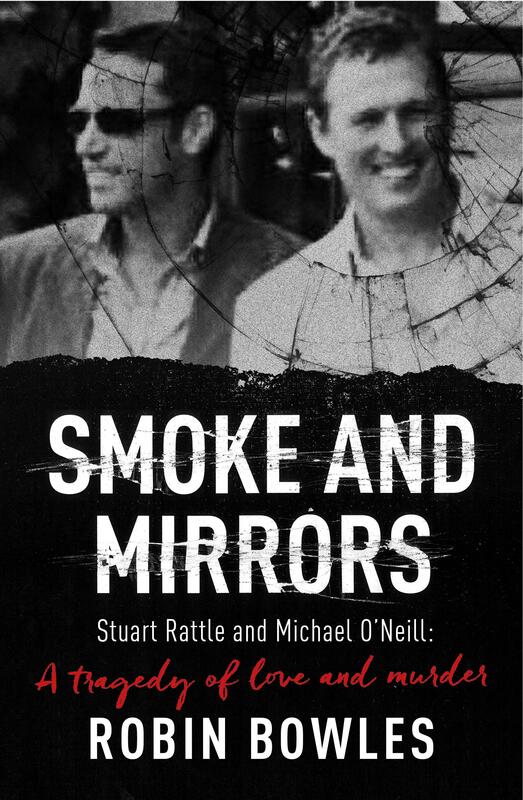 It is a tragedy and a love story as well as a murder – the story of how celebrated interior designer Stuart Rattle met his untimely death, killed by his beloved and loving partner, Michael O’Neill. The bizarre circumstances were the talk of Melbourne society, design circles, media offices, country clubs and lawyers’ chambers. I’ve been searching for new books by Robin Bowles, now I’m rewarded; Bowles is back! Not that she really went anywhere, except maybe out doing research for this book and walking Miss Diva, her Griffon Bruxellois, who is mentioned several times in this text. Although this murder happened just up the road in Melbourne, I was unaware of it, when in late 2013, Michael O’Neill arrived in Melbourne Magistrates’ Court for the setting of his committal hearing. O’Neill admitted murdering his partner, Stuart Rattle, of interior design fame and part owner of renown Musk Farm near Daylesford, and then setting fire to their apartment while his corpse was still in their bed. Bowles meticulously presents the two men’s family backgrounds and their eventual partnerships as lovers, business associates and co-owners of Musk Farm. She’s done heaps of interviews and research delving into their relationship. She takes a little different tack in that she sees O’Neill from a different perspective other than cold blooded killer. O’Neill is emotionally devastated by Stuart’s death, and personally confused by his reaction in leaving the body in the bed for days, bringing it food, cups of tea, wine, and then mistakenly setting fire to the apartment. Bowles offers reasons and motives for his strange actions. And, of course, one asks, what happens to the property, the money, the opulence of the Stuart Rattle properties and surroundings? Bowles doesn’t miss a beat in following up the contested wills and dispersal of properties. All this is accomplished with Bowles’ wry humour and insatiable digging for evidence, but without her husband reading the text, because, as she puts it, “…He told me in a heated moment some years ago, ’I live the bloody things, Rob!’” After reading Smoke and Mirrors, you can understand why Bowles has been long listed for a Sisters in Crime 2016 Davitt Award.